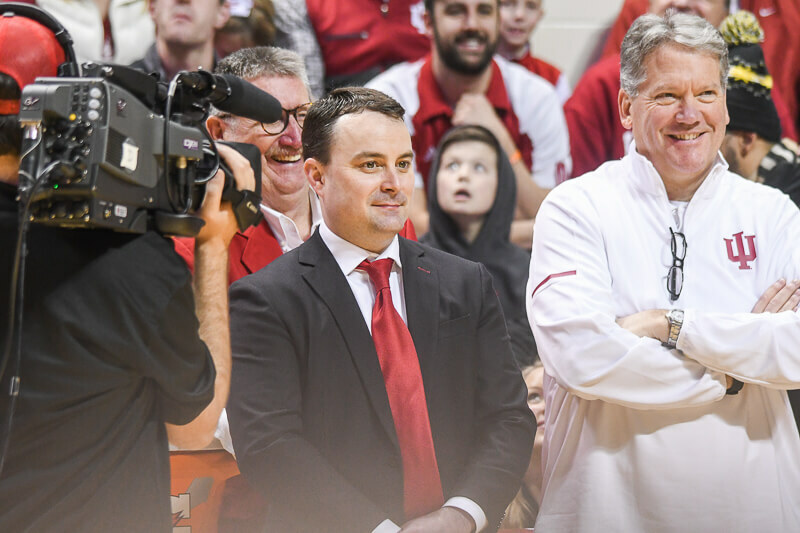 Although its overall value declined for the second straight year, Indiana basketball is the nation’s fifth most valuable program, according to a study published Monday by The Wall Street Journal. After coming in second in the study released 2018 (2017 data), third in 2017 (with 2016 data) and fourth in the study released 2016 (2015 data), IU fell to fifth in this year’s study, which includes 2018 data. The study was published on Monday afternoon by the The Wall Street Journal (paid link). Indiana was valued at $243.8 million in 2015, a record $277.8 million in 2016, $243 million in 2017 and $196.2 million in 2018. This year’s valuation represents a 19.3 percent decrease from last year. In 2014’s study, Indiana was eighth nationally at $199 million. Kentucky, valued at $334.2 million, topped the valuation study and Kansas, valued at $319.5 million, was second. The values are assigned using factors that determine what a program would be worth on the market if it could be sold like a professional team. Among those factors: expenses, revenue, cash-flow, risk assessments and growth projections. Brewer is an assistant professor of finance at Indiana University-Purdue University Columbus.